As I reflect on the previous week of architectural tours and consider the rich history of Chicago, the various styles and forms of buildings through the ages make sense considering the available technology and the cultural context surrounding their construction. 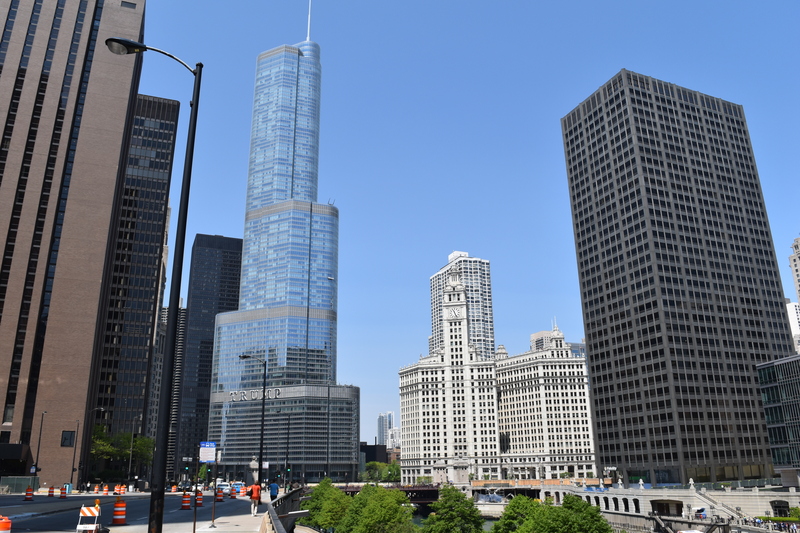 Every style was developed and employed to serve a need in Chicago, or came from the reaction of other contemporary styles to create something of an antithesis. 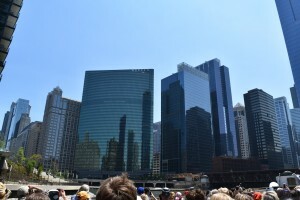 Sullivan and Wright’s works compared to the half-dozen revival schools at the turn of the 20th century and the rise of Miesian mid-century modern and its fall to postmodernism are both well represented in the Windy City. This poses the question however: what is next in the world of architecture? How will the needs of this new 21st century be met in the styles of buildings we create? What might this new style look like, and how will it distinguish itself to avoid another sequence of ‘neo- revival’ recycling? In Chicago, the answer may be right in front of us. Meeting needs has been a central driver of innovation in architectural technology and design. 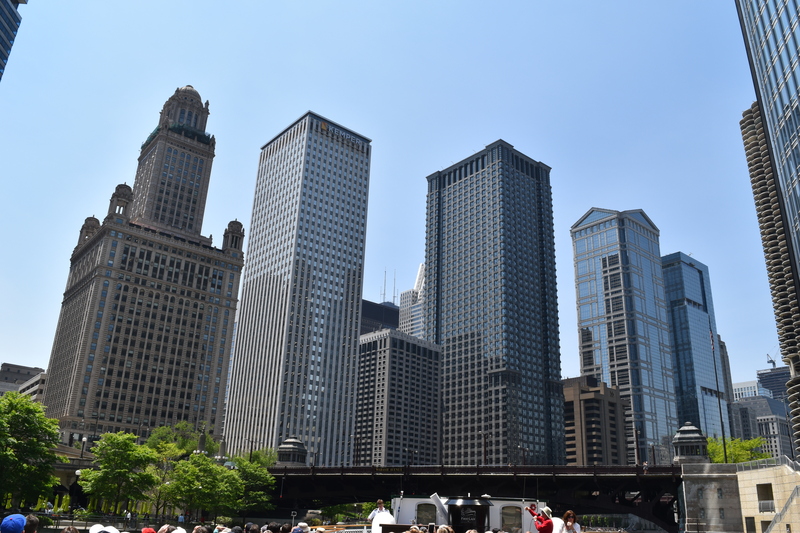 Chicago in the mid 1900s needed cost-effective, efficient spaces for office and commercial spaces, and from this Mies and others created the epitome of space efficient, stark, towering buildings. Today calls for a new efficiency, an ecological efficiency and the reduction of the impact of the building and its construction. Sullivan and Wright developed a design philosophy closely tying the structures to nature, and this philosophy can be extended not only to the inhabitants’ experience but the very systems of the building itself. 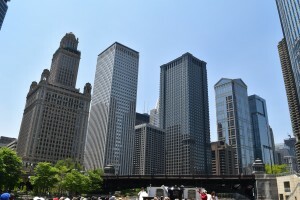 Another change I noticed while cataloging the historic buildings of Chicago was the choice of materials in each era of architecture. 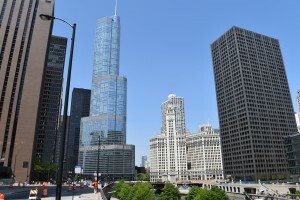 It seems to follow that with the use of new and innovative materials and processes, the contemporary architects literally achieved new heights in their designs. In an extrapolation of this trend, the discovery a new building materials and techniques will likely make viable, or at the very least possible, designs never before made into reality. The rise in 3D printing may be commercially scalable in the near future to allow for affordable construction and a way to create new forms in buildings that have previously been unseen. One last consideration is the development of a share-economy, and what that could manifest within the world of architecture. The days of sharing rooms, rides, and meals are upon us, with our mobile and computing devices soon to follow judging by the advances in cloud computing technology. When all of these belongings once so coveted in the 20th century become sharable between people, what’s to stop the living spaces from following suit? Residences have traditionally been a shelter from the elements, protection for our belongings, and an appreciating investment. These pillars of thought about property are starting to show signs of age in this connected century. Maybe some day soon, the very way we do business about where we live will change, and the design of those places are sure to reflect that.